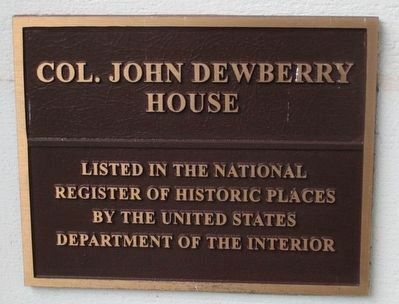 War of 1812 veteran John Dewberry came to Texas in 1835 and was listed as a resident of Tyler by 1845. A successful businessman and cotton farmer, he served on the commission to locate county boundaries and a county seat after the creation of Smith County in 1846. This Greek Revival house, which Dewberry named "Myrtle-Vale," was begun in 1852 and served as headquarters for his large cotton plantation. 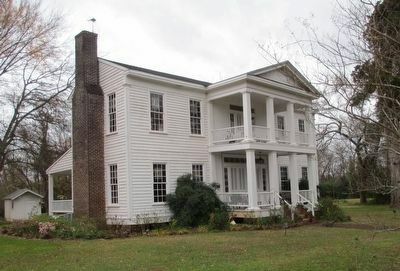 A rare surviving example in the county of a two-story antebellum residence, the Dewberry house remained in the family until 1908. Location. 32° 9.544′ N, 95° 24.28′ W. Marker is near Bullard, Texas, in Smith County. Marker can be reached from Farm to Market Road 346 0.1 miles south of County Route 1353, on the left when traveling south. Touch for map. The marker is on the front porch of the home. Marker is at or near this postal address: 14007 FM 346 West, Bullard TX 75757, United States of America. Touch for directions. as the crow flies. Camp of the Army of the Republic of Texas (within shouting distance of this marker); Bullard Water Well (approx. 5.1 miles away); Smith Cemetery (approx. 7.9 miles away); Cuney (approx. 8.9 miles away); Frankston Railroad Depot (approx. 9.6 miles away); The Major John Dean House (approx. 10.4 miles away); Site of the Kickapoo Battlefield (approx. 10.6 miles away); Yarborough House (approx. 11.1 miles away). Touch for a list and map of all markers in Bullard. Regarding Dewberry Plantation House. 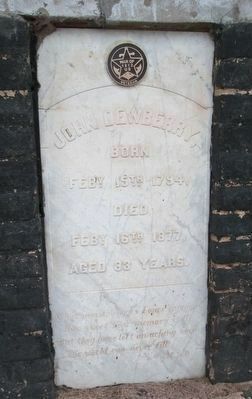 Dewberry is buried in the Loftin cemetery, 0.9 miles south at the intersection of FM 344 and 346. 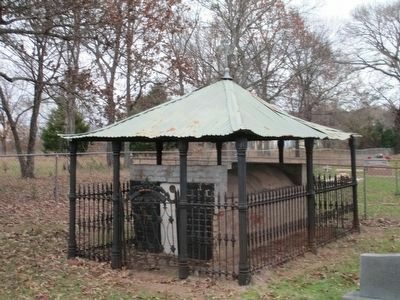 His grave is unique in that it has what is called a grave house covering his raised tomb. Located at the Loftin cemetery in the Teaselville community, intersection of FM 344 and 346, Bullard, Texas. More. 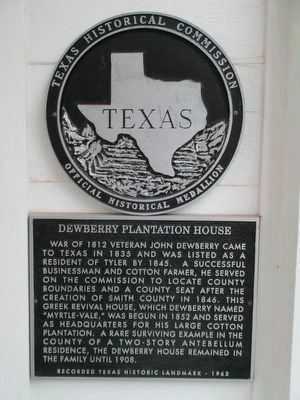 Search the internet for Dewberry Plantation House. Credits. This page was last revised on June 16, 2016. This page originally submitted on December 12, 2015, by Randal B. Gilbert of Tyler, Texas. This page has been viewed 303 times since then and 8 times this year. Photos: 1, 2, 3, 4, 5. submitted on December 12, 2015, by Randal B. Gilbert of Tyler, Texas. • Bernard Fisher was the editor who published this page.